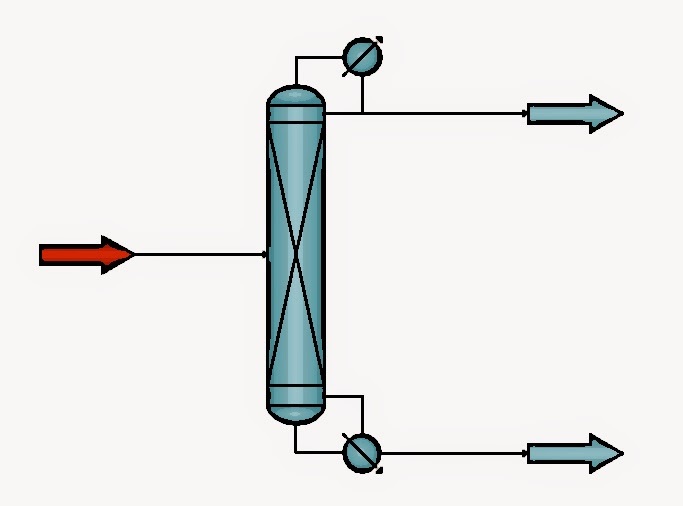 Did you know you can model mass transfer in distillation columns in CHEMCAD? Distillation columns are the ubiquitous workhorses of the chemical processing industry. Design and optimization of these unit operations is done at a much higher level of fidelity than ever before using mass transfer models. As students, we learned McCabe-Thiele diagrams and shortcut methods to solve simple distillation systems. Often, a little more complexity was added using a spreadsheet to solve harder problems. Then, of course, we were given access to a simulation program which used more rigorous methods, including simultaneous correction and/or inside-out algorithms. When it came to actual columns in the field, however, they didn't always achieve quite what the equilibrium-stage based calculations predicted. You could specify an overall efficiency or even stage-by-stage efficiency profiles to get a better match, but this was a crude way of dealing with the issue. Enter mass-transfer models, like Bravo & Fair for random packing, Bravo, Rocha & Fair for structured packing, and Billet & Schultes for random or structured packing. CHEMCAD includes these models, along with a database of common packing coefficients. For trayed columns, we include the Chan-Fair, AIChE, and Zuiderweg tray models. So, take a moment to back up a copy of a simulation with distillation column(s); convert them to mass-transfer by specifying the actual trays/packing you're using; and enjoy the benefits of more accurate answers to your distillation calculations. If you have questions, or if you want to share your successes, give our technical staff a call today! * I should mention here that from what I've seen in papers delivered by distillation experts over the years, column-internals installation issues can cause significant deviation from expected results in the field. There are a number of companies that specialize in identifying such issues, and I invite you to check out our friends, Dr. Frank Seibert & Dr. Bruce Eldridge, over at the University of Texas Separations Research Program if you're interested in applied research on this topic and more. Did you know you can quickly make property calculations in CHEMCAD? Quick, what's the bubble point of the process stream entering one of your columns? What's the viscosity of the stream entering your heat exchanger? You may find yourself needing answers to these types of questions much more often than needing to model an entire process, and we've made it easy to access these calculations in CHEMCAD. If you have an existing flowsheet with a stream already set up with the right composition, just double-click the stream, and you can immediately calculate bubble/dew point (T or P) or vapor fractions. Just remember Gibbs' phase rule and specify two of the three available fields (T, P, VF); then click the Flash button and you'll have your answer. To get at the thermophysical properties, just right-click the stream and select View Properties to get a quick report. Make sure no streams are selected (you can click in the white space of the flowsheet to be certain). On the CHEMCAD main menu, choose Specifications > Select Streams. In the input dialog, type a stream number not currently used in your flowsheet (like 999) and click OK.
You'll now be working with a 'dummy stream.' You can specify stream conditions and compositions, but nothing you do here will affect any of your actual flowsheet streams. By clicking Report > Stream Properties > Select Streams and entering that dummy stream number, you can even generate thermophysical property reports. The dummy stream will be accessible for as long as you have that flowsheet open (it's cleared from memory if you switch flowsheets or close CHEMCAD). Don't let your investment in simulation sit around waiting for the large projects! CHEMCAD is like having your own chemical engineering calculator, and it's ready to supercharge all of your tasks. Whether you're working on a simulation of your entire process, sizing a few pieces of equipment, or just looking for a quick property calculation, don't hesitate to get in touch with our technical staff for more best-practices tips. 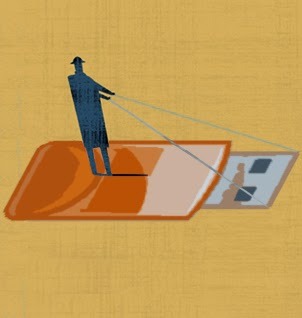 Do we need more chemical engineers? Do we need more heroes? Someone recently forwarded me a link to ExxonMobil's perspectives blog on the subject of engineers in the United States. You can take a look here to see Ken Cohen's take on addressing the need to educate and connect with young people about engineering and engineers--especially the societal impact, both past and present, of our profession. As I pointed out several years ago, there are a couple of ways to attack this problem. ExxonMobil's site, BeAnEngineer, and their associated television commercials are a fantastic 'top-down' approach to get the message out to the general public. The complementary approach is 'bottom-up,' and their material is also a great resource for engineers who want to arm themselves with facts and figures they can use to have one-to-one or one-to-few conversations with young people or non-technical colleagues and acquaintances. 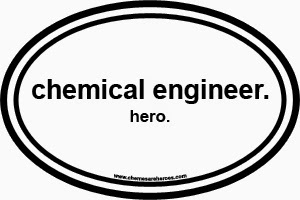 If we, as engineers, don't tell our story and tell it well, then we leave ourselves open to two serious consequences: (1) our story gets told by those who view chemicals and chemical engineering as inherently 'bad,' and (2) fewer young people are interested in pursuing chemical engineering. You know the role we play in society now, and the role we'll play in the future. Learn more about our past successes. Tell your story. Tell our story. Be a hero. Congratulations to Trevor Rice, Outstanding Young Professional! Our own Trevor Rice has been awarded the South Texas Section AIChE’s Outstanding Young Professional Award for 2013! 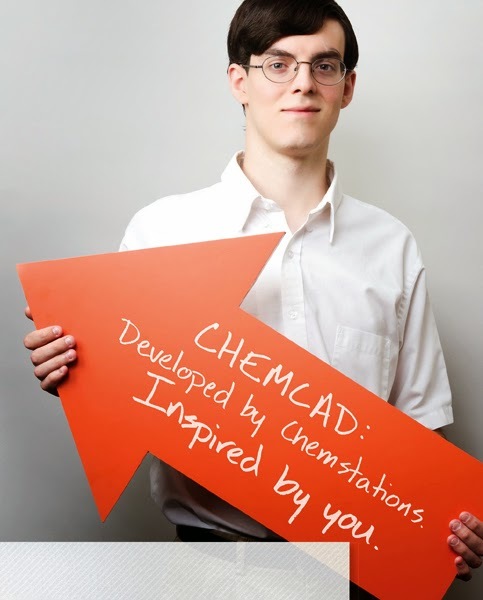 Trevor is a valued member of the development team here at Chemstations, and we've seen his devotion to working on quality projects for our customers, so it's little surprise to us that his passion for the profession of chemical engineering has been rewarded by the local section leadership. He continues to contribute his time and effort to make STS a great institution, and we are all very proud of him and his efforts. Trevor's award will be presented at the 6th AIChE Southwest Process Technology Conference at the Moody Gardens Conference Center and Hotel in Galveston, TX (October 9th and 10th, 2014; more information here). Chemstations technical and sales staff will be present throughout the conference, so stop by to congratulate Trevor and visit with us to chat about process simulation and CHEMCAD!